The Arts represent an outlet of expression, that is usually influenced by culture and which in turn helps to change culture. As such, the arts are a physical manifestation of the internal creative impulse. At Winhills we offer a vast range of Art activities from Reception right through to when the children leave in Year 6. On offer within the school timetable are : Dance, Drama, Zumba, Gymnastics, sports, Young voices, Indian Drumming, Artists and their Art., Art and craft and poetry writing. After school clubs include; Cake decorating, Ornament making, Cross country, Gymnastics, Tennis, Football, Netball and Tag Rugby. The children are very fortunate to have external coaches come in and teach many of these areas of The Arts. 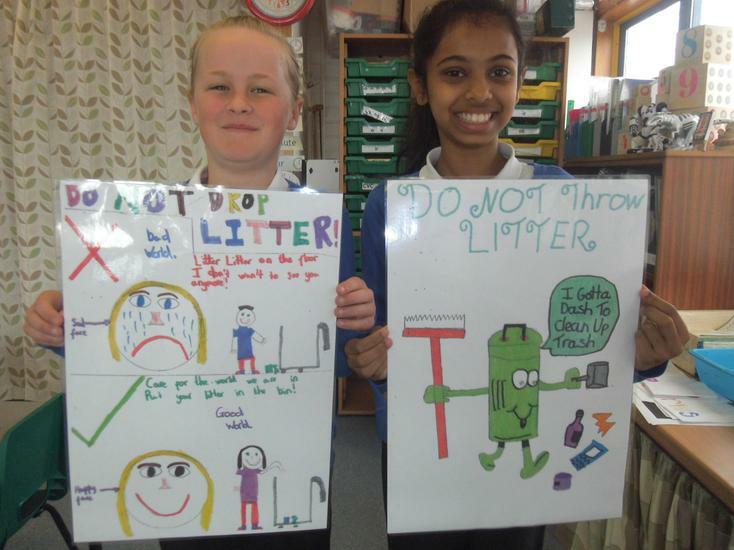 Poster Competition: - To design a bright poster with a short sharp message to keep our school and surrounding area free from rubbish. Tanisha Patel and runner up Libby Nash (Yr 5). Both girls were presented with art materials - Happy sketching! 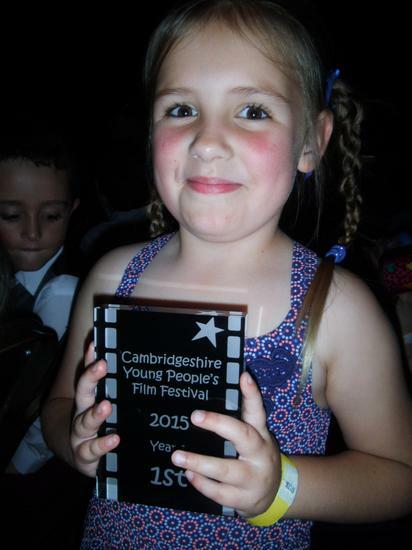 You are receiving this message as having submitted to the Cambridgeshire Young People’s Film Festival, you have had success in being shortlisted by the judges! Please see the Film Festival website www.filmstarz.org.uk and select the 2015 Nominations tab for confirmation of which films have been shortlisted. The award ceremony is to be held on Thursday 9th July at the Cambridge Corn Exchange; this ceremony begins at 4pm with the door opening at 3:15pm. Attendees are invited to dress to impress! Master of Ceremonies is once again film maker, Martin Tempest. Along with key representatives across the Local Authority, our judges and sponsors, we are also joined this year, by our special guest Dame Evelyn Glennie. It would be lovely for your children to be aware of this world-renown percussionist and to this end we have shared a full length interview film she made for us, as well as some smaller clips, the film is available at www.filmstarz.org.uk under the Hall of Fame tab. Further details regarding the event are attached. For each school we are making an initial offer of 20 tickets per shortlisted film and 4 tickets for each individual film entry for the Primary award ceremony. a) If you require all or just some of your initial allocation. So, we have 15 children to represent our school and 4 teachers- Keep voting for us please. 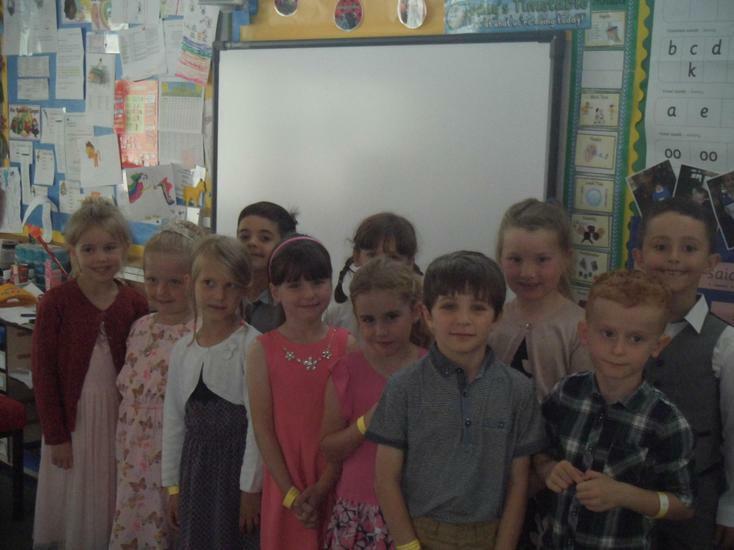 We had 15 Year 1 children represent our school and they all were beautifully behaved .